When the F/V KRISTI lost power on July 14th shortly after midnight, no one could have imagined the disaster that was about to take place as the vessel drifted near Clark’s Point, a Bristol Bay village just outside of Dillingham. As the tide came in, it brought the vessel along toward shore, traveling at approximately 5 knots or 500 feet per minute. Owner and skipper Jan Medhaug along with deckhand Kyle Brajakowski were working to restore engine power to the 32-foot salmon gillnetter while Kayla Breeden, Jan’s wife, placed a buoy at the stern. Breeden reported that she could see that they were headed straight for two large docked vessels, the 330-foot F/V GORDON JENSEN and the 400-foot cargo ship SOHOH. With no engine power to maneuver the vessel, the tide pushed and wedged the F/V KRISTI into a Yokohama fender that was positioned between the two large vessels. 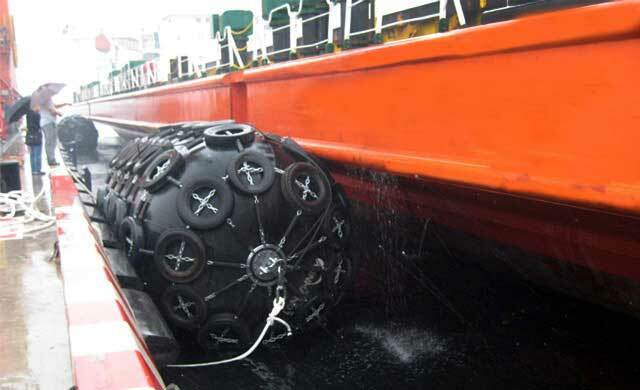 A “fender” is a large rubber cylinder filled with air and wrapped in tires, that acts as a buffer to protect large vessels docked close together. The F/V KRISTI was nearly the same size as the fender, and thus the small aluminum vessel began violently bouncing between the two large steel-hulled ships. The smaller vessel twisted and took on water, then sunk seconds after the last crewmember was lifted from the vessel by the crew on the GORDON JENSEN in a rescue basket. See the astonishing video of the sinking here. It is with great sadness that we report that the search for missing crewmember John Phillips, 59, of Juneau, Alaska, has been suspended. 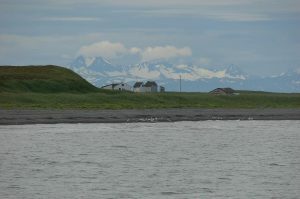 Phillips was reported missing after the F/V PACIFIC KNIGHT capsized and sank near Clark’s Point in Bristol Bay on Wednesday, July 25th. Two other crewmembers were rescued from the water by good Samaritan vessel Amanda C, then transferred to Alaska State Troopers. Authorities continue to search for the missing crewmember and investigate the cause of the accident. It is unknown if Phillips was wearing a PFD.